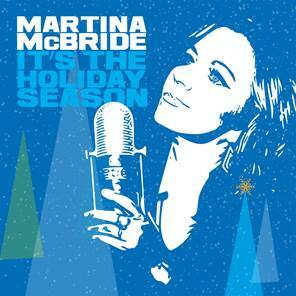 Great news for folks who consider Martina McBride’s 1998 holiday album, White Christmas, the yuletide standard. On Oct. 19, Martina will release a new album, It’s the Holiday Season, which will feature nine classic Christmas songs with accompaniment from more than 40 world-class musicians at the famed Capitol Studio in Los Angeles and Blackbird Studio in Nashville. In addition, Martina will once again embark on her The Joy of Christmas Tour—this time with a local orchestra at each stop.